The LIL' BUDDY cooler has been a staple in the Burton BYO bag program, and I was given the opportunity to redesign and update an already big seller. I couldn't deviate too far from the previous design but wanted to boost the overall capacity to pack more beverages and ice for those all day events, as well as add those extra little features for people on the go. Field Testing: BURTON put two professional beverage analysts to the test the LIL' BUDDY BYO cooler bag at Burton’s top secret R&D laboratory in the middle of Lake Champlain. This, ladies and gentlemen, is science at its finest. STEP #1The control. One can is removed from the Lil Buddy and the temperature is observed until the beverage is deemed too warm to enjoy. As shown, the Lil Buddy contains 12 cans. With the control temperature logged and the can’s contents consumed, it’s on to step #2, where the real results emerge. STEP #2 Remove a can. 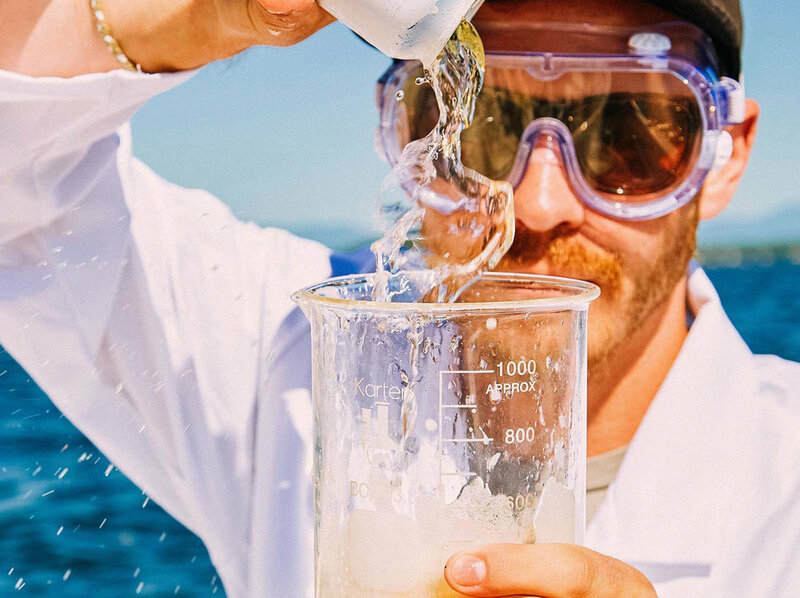 Pour contents into beaker, take temperature, and record data. Drink contents at a steady, but average pace [averages taken during a case study using local beverage enthusiasts]. When finished, open the next can. STEP #3 Repeat Step #2 until all cans have been opened, temperatures recorded, and contents consumed. Each can poured is one small step for science – one giant leap for mankind. CONCLUSION This deterioration of scientific professionalism led to the conclusion that the Lil Buddy were in fact able to provide enough insulation to carry 12 cool cans of beverages safely to their destinations. After all, warm drinks are no fun, and the scientists clearly had a great time.